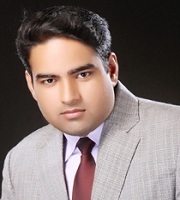 Dr. Nipun Chaudhary is an Assistant Professor in NIIT University, Neemrana, Rajasthan. He did his Ph. D. from the University of Rajasthan (Jaipur) on the topic entitled ‘Journeys of Identity in the Short Stories of Nadine Gordimer, Chinua Achebe and Alice Walker’. He was provided Departmental Research Scholarship during his Ph. D. work. His areas of research are Indian Literature in Narration, Communication and Soft Skills, Language Changes in Modern Scenario and Creative writing in Short Fiction. He has published seven international papers and presented papers at various conferences. Dr. Chaudhary has also attended a few advance courses in the field of Soft Skills organized by various government recognized institutions.